I love Spain and deep down feel the Spanishness of my ancestors in my genes – even though it was a very long way back. 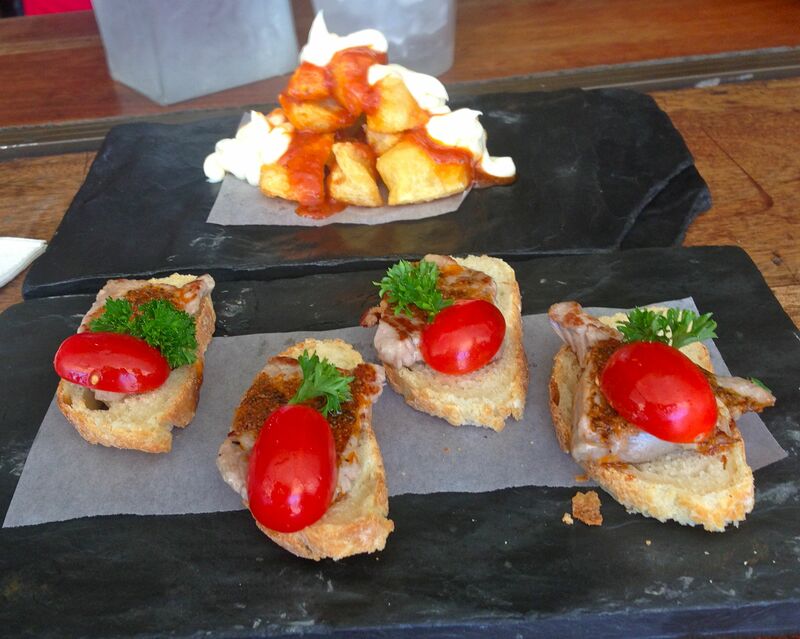 So I was very excited when a tapas bar opened in Cape Town a couple of years ago. 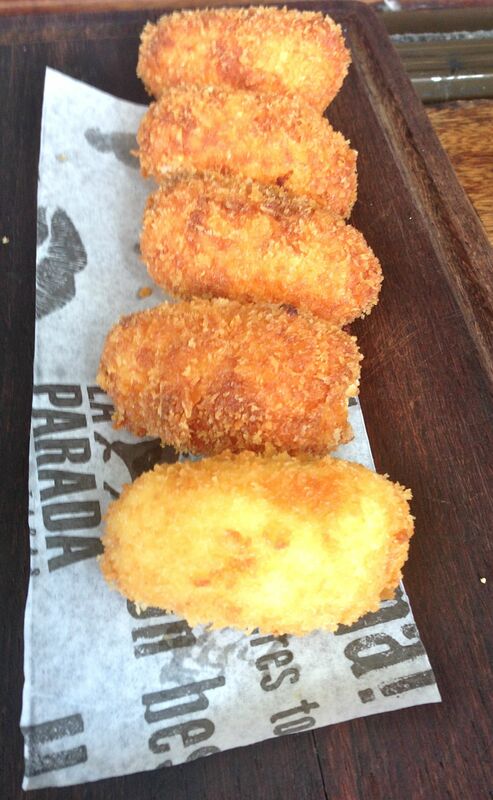 La Parada is on buzzy Bree Street and I’m pleased to say simply shouts Spain. The restaurant opens out onto the street and you can sit at a counter on the pavement looking in on the action. I’ve sat in many a tapas bar just like this one on the streets of many Spanish towns, happy days! 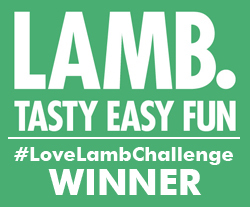 La Parada’s dishes are generous in size, amazingly authentic and great value And to make it all even better, a new head chef has been lured over from Spain. Andres Condes worked at the legendary El Bulli with ground-breaking chef Ferran Adria and brings his talented touch to the menu which changes regularly. The initial disappointment of not finding one of your favourites is soon overcome by the excitement of trying something new. Spicy steak is thinly sliced and served on bread topped with sweet tomato. Deep fried fish is a Spanish favourite and this yellowtail was amazingly sweet and tasty, served with a saffron mayo. 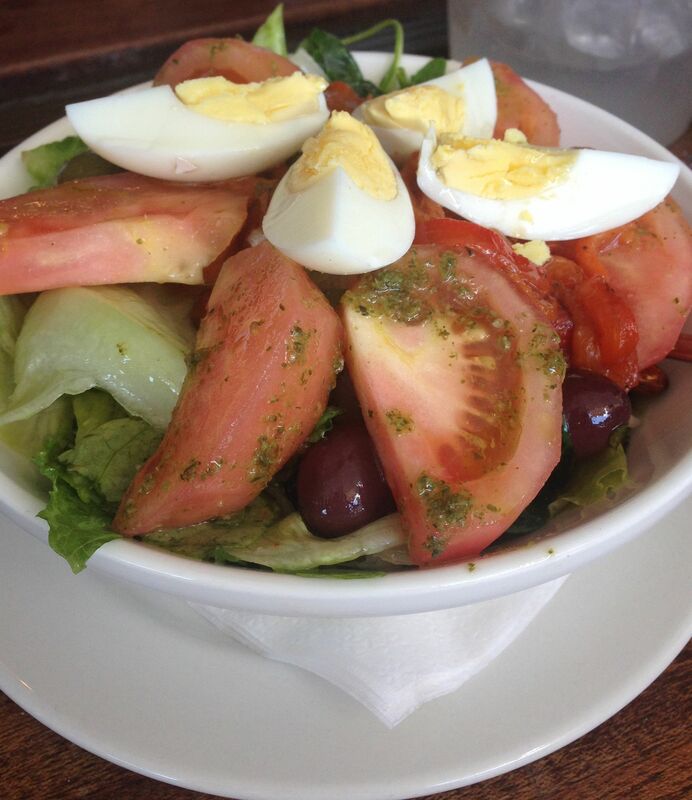 The ensalada mixte (mixed salad) has pride of place on every Spanish menu – a simple dish using the freshest of ingredients, topped with hard boiled eggs and a delicate dressing. 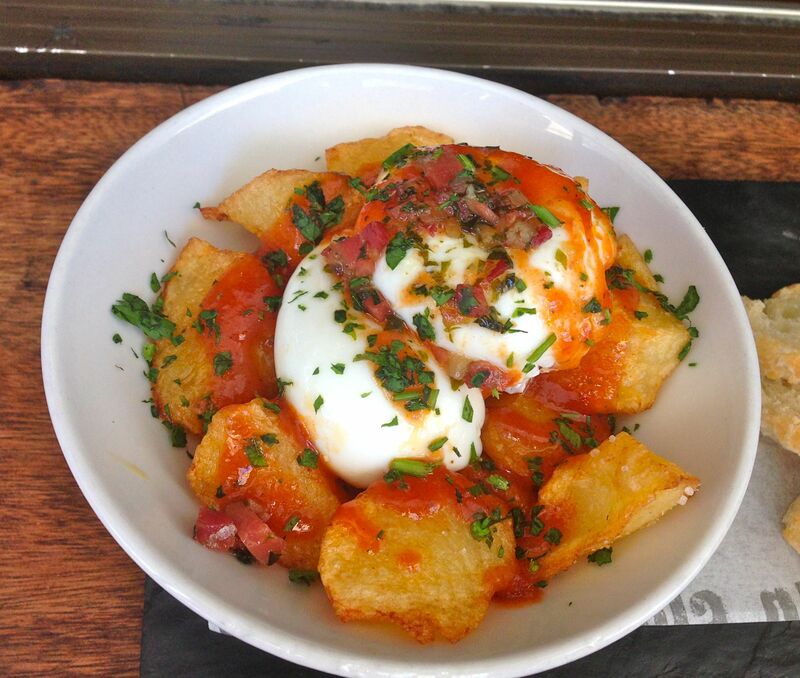 One of my La Parada favourites, it’s called smashed eggs. A lovely mix of crisp potatoes, soft egg and spicy sauce. It wasn’t on the menu on my last visit…hoping for its return. 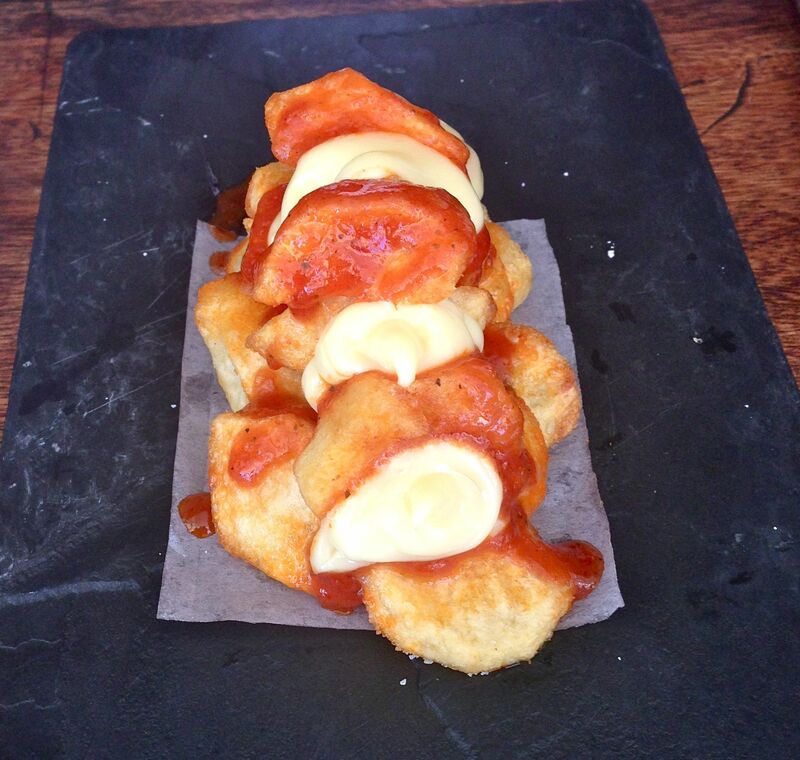 Patatas bravas is a tapas classic and it doesn’t come better than these. 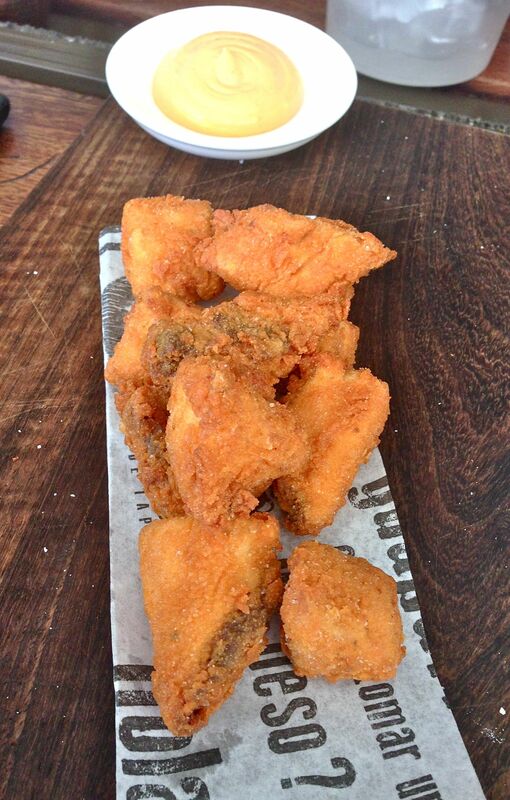 Piping hot, crunchy on the outside and soft inside with beautifully spicy sauce. Oh and this portion costs R20 (about £1.10)…such a bargain. I’ve eaten my share of ham croquettes, and again, I can’t remember ever having such perfect ones. The creaminess and crunchiness mix perfectly. La Parada also has a fabulous cocktail list – try their Bloody Mary which is made with chorizo vodka. 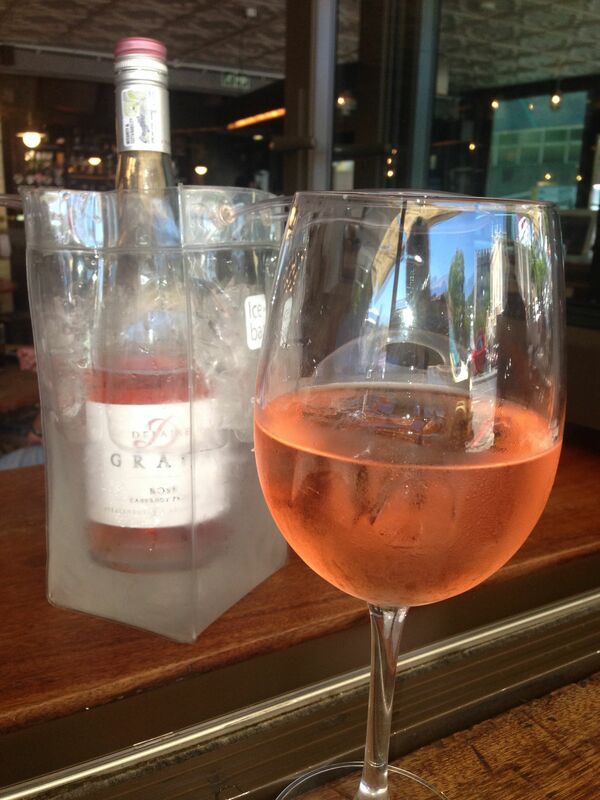 And on a sunny day a bottle of rose completes the meal perfectly. I love this wine bag…have to find out where to buy one. 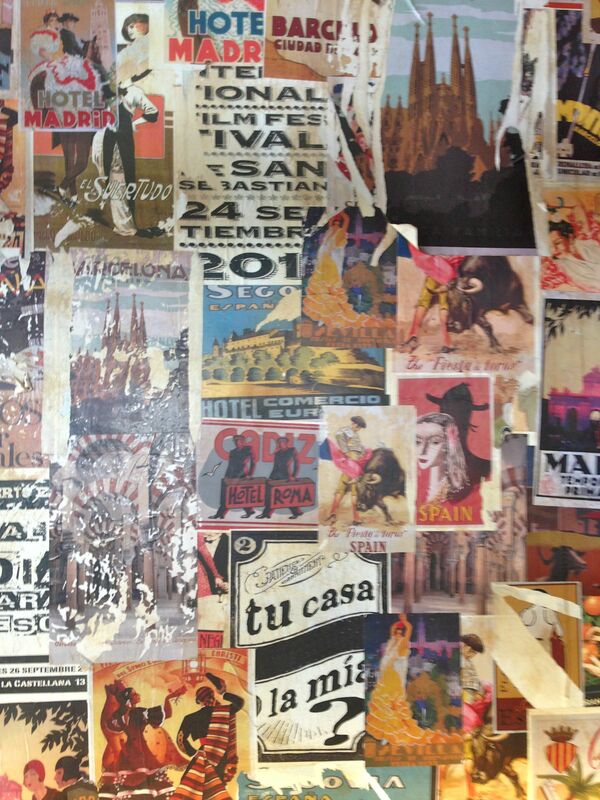 One of the walls is covered in Spanish posters…just fabulous. As well as tapas, La Parada also has a range of main-course dishes that I’ve yet to try. I’m still enjoying the tapas too much. This little corner of Spain in Cape Town is a great-value, fun place to go and it’s very popular – evenings (especially wind-free warm ones) can be really hectic with crowds spilling out onto the street. Lunch is a quieter time to enjoy the lovely food, friendly service and get your Spanish fix. Regularly! 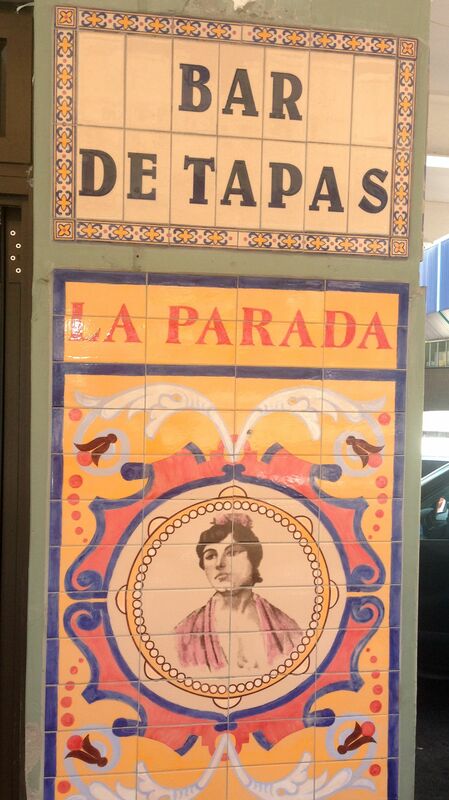 La Parada is at 107 Bree Street, Cape Town and its sister is in Kalk Bay.